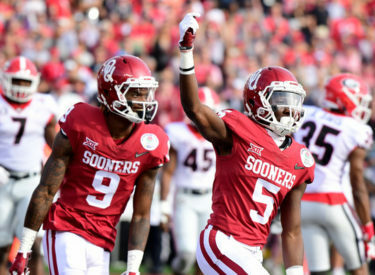 NORMAN, Okla. (AP) – Oklahoma’s dynamic receiving tandem of Marquise “Hollywood” Brown and CeeDee Lamb has been virtually unstoppable so far this season. Brown has 19 catches for 412 yards and three touchdowns through three games. Lamb has 12 catches for 225 yards and two scores. They are key reasons the fifth-ranked Sooners will take an unbeaten record into their game against Army.